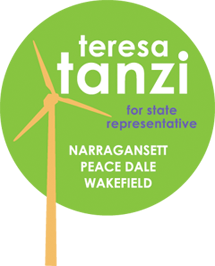 STATE HOUSE – Rep. Teresa Tanzi (D-Dist. 34, South Kingstown, Narragansett) was formally sworn into office on Tuesday, Jan. 4, as the 2011-2012 session of the Rhode Island General Assembly convened. Representative Tanzi was one of 22 new members of the House of Representatives who took the oath of office, which was administered to all 75 House members by Secretary of State A. Ralph Mollis. The House of Representatives began its legislative year with a program of activities that included the re-election of Rep. Gordon D. Fox as the Speaker of the House. Representative Tanzi is serving her first term in the General Assembly.